Depois de participarem no Music Alliance Pact, em Março de 2012, eles regressam agora com No True Magic, e é com o tema que dá o nome ao álbum que eles participam desta vez no Music Aliiance Pact. João rui e Jorri, os dois membros da banda, contaram ainda com as participações de Carla Torgerson (The Walkabouts) e um conjunto de amigos e talentosos músicos portugueses Hugo Fernandes, Guilherme Pimenta (bateria e percussões), Lauren Rossi, Maria Côrte, Miguel Gelpi, Pedro Serra e Gito Lima, Susana Ribeiro , Maria Côrte (harpa, violino e viola de arco), Lauren Rossi (trompa) e Hugo Fernandes (violoncelo), confirmando a Coimbra mais uma banda nacional com o talento e a capacidade de produzir obras preciosas que não farão coroar, antes pelo contrário, mas orgulhar as suas origens e todo o país. Infelizmente, como tantas outras bandas de nova música portuguesa, eles não tocam na rádio excepto em programas como o Portugália, do Henrique Amaro. Além dos A Jigsaw, temos mais 22 temas e bandas nesta edição do Music Alliance Pact. Clique com o botão direito do rato, por cima do título da canção, para fazer o download do mp3 ou faça um download do ficheiro completo, com os vinte e dois temas, através do Dropbox AQUI. ARGENTINA: Zonaindie Tomás Ferrero - Cuando Te Hablo In March 2013, a mixed group of musicians gathered together in Cordoba and Buenos Aires to play some songs and sound pieces composed with lyrics taken from the work of a federal collective of artists called Esta Vida No Otra. Some of them recorded the results several months later, and those tracks were then released as a compilation titled 15 Artistas Cantan Esta Vida No Otra. The song we have selected from this album, also available for free at Bandcamp, is Cuando Te Hablo by Tomás Ferrero from the band Rayos Láser. AUSTRALIA: Who The Bloody Hell Are They? Open Swimmer - Sugar Bowl Open Swimmer's version of pop is jarring, even discordant at first, but it's this blatantly simple approach that has us hooked. (Dirty Projectors fans, pay attention now.) Sugar Bowl is a brilliant introduction to the band; playful yodelling is cut and pasted along a steady 4/4 drum beat, while witty banter takes the fore. Songwriter Ben TD was based in Glasgow for seven years, touring extensively and landing multiple sessions on BBC Radio One and a stint at T in the Park before settling in Melbourne. The band comprises some of Melbourne's most admired independent music alumni (The Harpoons, Seagull). Expect to hear a lot more from this group. BRAZIL: Meio Desligado Alessandra Leão - Mofo Alessandra Leão shows off her experimental side with Mofo, taken from her new EP, Pedra De Sal. Avoiding the world music sound from other works, this song has dark music and some weird programming that fits the angst of the lyrics. CANADA: Ride The Tempo Beach Season - Midnights There's not actually much out there on Beach Season besides the fact the project is from Calgary. The smooth vocals of Midnights complements the hip-hop influenced rhythms. This is a duo that won't be much of a mystery for long. CHILE: Super 45 The Dagger Complex - Velvet Moon The Dagger Complex were formed in 2013 by Hernán Díaz (vocals/guitar), Michaela Boman (vocals), Abraham Vicencio (guitar), Gonzalo Chandía (bass) and Ignacio Álvarez (drums). Their debut EP, Vibrant, released by Beast Discos, is a collection of songs inspired by early 90s shoegaze and dream-pop, one foot set in the cadence of bands such as Slowdive or Mojave 3, the other one in the fuzzy mass of noise of The Jesus And Mary Chain and My Bloody Valentine. DENMARK: All Scandinavian IAmFire - Burn Your Halo IAmFire have their debut EP ready and apparently it sounds like a "massive drug experience" to frontman Peter Dolving. Come December, he and the rest of the gang will be releasing this groovy stoner metal dragon and here's Burn Your Halo as a MAP exclusive download. DOMINICAN REPUBLIC: La Casetera Gnómico & Victor Victor - Mesita De Noche Hip-hop producer Gnómico has always been interested in preserving Dominican musical culture for the present and future generations. Now he's embarking on a new project called Sinergia that will add an urban twist to many songs from past decades. The first one is Mesita De Noche, a famous 90s bachata by Victor Victor, now remade with a funky fresh attitude, Gnómico's own rap verses and Mr Victor himself singing its signature chorus. ECUADOR: Plan Arteria Da Culkin Clan - Sometimes You Make Love From the city of Cuenca, Da Culkin Clan represents the most weird and experimental contemporary hip hop of the country. Their lyrics and music are a bunch of random, powerful and creative ideas - a mixture of carnival and fiction figures. From debut album Special Dark, we present its first single, Sometimes You Make Love. GREECE: Mouxlaloulouda Babis Papadopoulos - Spring Babis Papadopoulos blends the organic nature of Greek traditional folk music, rhythms rich with contemporary elements and avant-garde jazz and succeeds in creating a sequence of lush, varied and nostalgic tracks. Spring, the splendid first preview from his forthcoming album, Joy In Pain, Pain In Joy, is dominated by a delicate, recurring melody in bouzouki, mournful violins, a broody viola and the warm restlessness of his guitar. INDONESIA: Deathrockstar Barokka - Barapantura Dangdut Koplo is one of the most famous electro genres in the shady underground clubs of Indonesia. This trashy dance anthem was created by the guy behind Dubyouth as an introduction. IRELAND: Hendicott Writing SPIES - Moosehead Hyped up by authorities as hefty as The Guardian and NME, Dublin's SPIES are widely seen as the city's next big thing. Moosehead is the latest of their slow to emerge singles, released on the band's own Trout Records label. Leaning on the same glorious desolation that fronted Factory Records' world-renowned soundscapes, it's a jittery, dingy piece of indie-rock that brings atmospheric depression up to date. Think social awkwardness meets Interpol, and put a hefty bookmark on this space. ITALY: Polaroid Klam - Mess With The Best, Die In A Nuclear Test On the cover of Bleak, the debut album by Klam, there is a foggy road, a city in the shadow, a storm seems to be approaching. It's a perfect introduction to the sound of the band: dark shoegaze with post-punk sharp edges. They can create hazy clouds of feedback, but they can also write vibrant and trembling songs like this one. JAPAN: Make Believe Melodies Toyohirakumin - Cliff If the term 'vaporwave' gives you chills, either turn back now or try to think beyond whatever concepts of the internet microgenre you have. Toyohirakumin makes music that is often filed as - and in some cases sounds like - vaporwave, but Cliff is far more than an exercise in aesthetics. It is a slow burner, and a minimal one at that, but a compelling throbber from a promising Japanese producer. MALTA: Stagedive Malta Fastidju - Kukkuzejt Fastidju was born when Nigel Baldacchino (essentially a non-musician) started conceiving vague sung melodies and aural structures for existing pieces of writing compiled for the exhibition, Sajda, in 2012. Nigel started seeking collaborations with electronic producers he admired, such as Istishhad Hheva and Cygna, to provide flesh to his musical skeletons. An album was devised and a band took on the task of developing some of the structures - and even creating new songs. Cygna ultimately ended up being the main crucial guiding light in the final studio phase. MEXICO: Red Bull Panamérika Pumcayó - Don Jacinto Hailing from Guadalajara, Pumcayó is a band that weaves their region's folkloric heritage, with patterns found on Grizzly Bear or Fleet Foxes' music. Following a Kino-Pravda aesthetic - as in Dziga Vertov's Soviet documentary from the 20s - the video for the song Don Jacinto follows the semi-industrial art of making colourful papercrafts, a simple decor in Mexican celebrations with a beautifully complex craft. PERU: SoTB Mind Black - Cocaine Mirella Bellido is the songwriter and lead singer of Mind Black. These Days is her debut five-track EP that moves through different emotions such as anxiety, perversion, obsession and regret. Mind Black, as defined by its creator, is a balance between the emotional and rational. PORTUGAL: Posso Ouvir Um Disco? 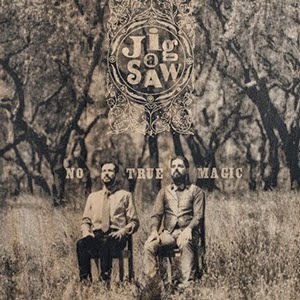 A Jigsaw - No True Magic Coimbra band A Jigsaw are back with a new album, No True Magic. Jorri and João Rui, the two members of the folksy alternative band, invited Carla Torgerson (The Walkabouts) to join them on vocals for one of the tracks, Black Jewelled Moon. They also produced the record, which will find new fans in those who appreciate artists such as Tindersticks, Leonard Cohen or Tom Waits. PUERTO RICO: Puerto Rico Indie Los Vigilantes - Ahí Ya No Estoy After an exhaustive and intense European tour, garage-rockers Los Vigilantes returned to Puerto Rico with a new record under their belt. Aptly titled Al Fin (At Last), it perfectly showcases the band's brand of melodic surf punk: both infectious and melancholy, it makes your bones rattle, a bit from pain and a bit from joy. Los Vigilantes recently shared a video for the record's second single, Ahí Ya No Estoy, in which a scorned lover wills himself into feeling hopeful for the future with a little help from his friends, cheering us all up in the process. Dance those blues away with Los Vigilantes. SCOTLAND: The Pop Cop Billy Jeffrey Jnr - Eternal Blue Billy Jeffrey Jnr's debut album, Eternal Blue, received modest attention when it was released in early 2014 but - thanks to the power of word-of-mouth and mesmeric live performances - it continues to gain the Glasgow songwriter a host of new fans and followers with each passing week. Possessing the same otherworldly quality as Bon Iver, it is a record full of elegant moments, with title track Eternal Blue being a personal favourite. SOUTH KOREA: Indieful ROK We Hate JH - 20 Emo/power-pop band We Hate JH made the finals of this year's edition of the foremost South Korean rookie competition, Hello Rookie. A brand new single will be out very soon, but 20 is the charming and extremely likeable opening track off the official debut EP Officially, We Hate JH released earlier this year. SPAIN: Musikorner Role - Shrine II Role are a four-piece from Madrid whose sound is influenced by dream-pop, trip-hop and even art-rock. They have played live at Valle Eléctrico, one of the most important experimental electronic club nights in Spain, and their first album is due to be released in the first quarter of 2015. UNITED STATES: We Listen For You Jenna Dean - Blown Funk-based hip hop is alive and well in the form of this brilliant track from Jenna Dean. Smooth guitars open into a locked groove that swarms around a controlled lyrical outpouring. It's a song that builds and builds, never letting the listener down. O mestre do cinema, John Carpenter, editará álbum, com temas por editar e alargados, no dia 3 de Fevereiro de 2015. "Vortex" é o tema que serve de apresentação de "Lost Themes".